In this tutorial you are going to learn how to remove windows 8 boot loader. In order to make this possible you are going to need to download a small, free application. 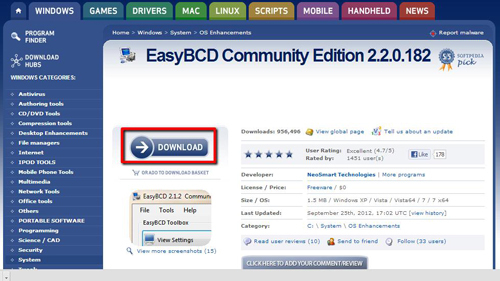 Go to Google and search for “EasyBCD”. Open the link to the “Softpedia” website and click on the “Download” button, the choose one of the mirrors to download from. Once the file has been downloaded you need to open it. 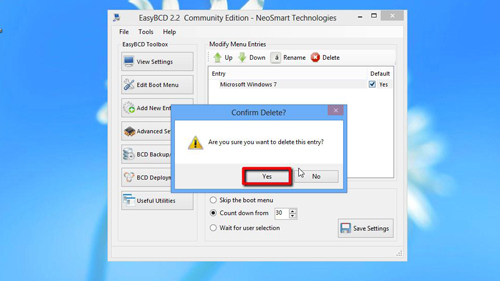 A dialog window will open, click “Yes” to allow the program to start. 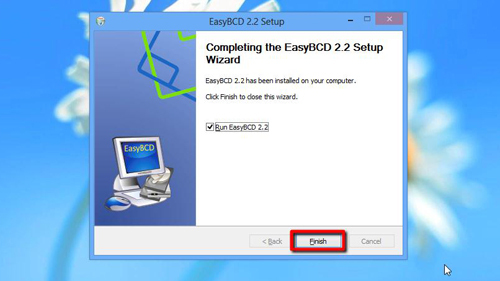 The installer will begin, go through the process and let the installer run, at the end of the install process click “Finish”. Wait for a moment and the program will automatically start. Select your language, click “OK” and you will be presented with the programs interface. On the left side menu click the “Edit Boot Menu” option and delete the Windows 8 option, confirm that you want to delete it, then click “Save Settings”. A warning will appear telling you your computer will fail to boot, when deleting the Windows 8 bootloader it is highly recommended you have another boot system set up. Click “Yes”. This is how to remove windows 8 boot loaderand to make sure there is no bootloader, restart the computer. 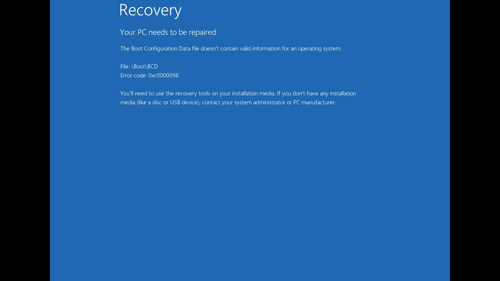 As it boots up you should be presented with a recovery screen, this indicates your computer has no Windows 8 bootloader.